I’m a seafood lover, especially shellfish. Cooked, raw, sushi, ceviche, love it all. 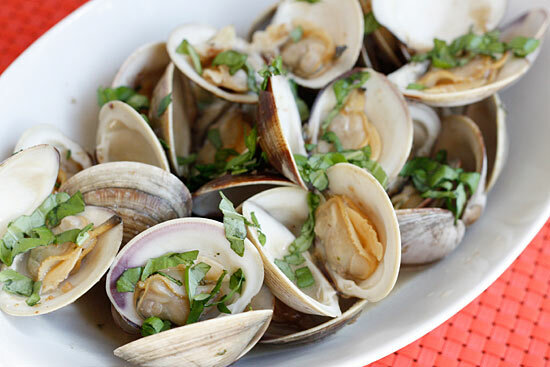 One of my favorites is steamed clams cooked in white wine, garlic and oil topped with some fresh herbs. 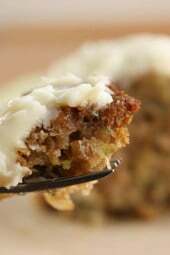 This is something I love ordering when I go out to eat but making this at home is easier than you think and with more control of how much butter is added. 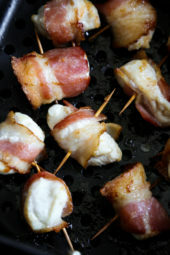 Serve this as a light lunch or appetizer with a piece of whole wheat crusty bread to soak up the juice and enjoy. There is a little bit of prep work involved before you can cook them. 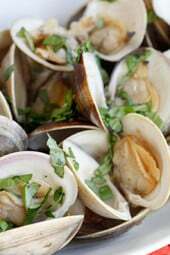 Clams should always be cooked alive and you should cook them the same day you buy them. Discard any clams with broken shells before you clean them. To clean them, place them in a medium bowl of clean, fresh water to soak for an hour. Because clams filter water through their systems, putting them in fresh water helps clear out the salt and sand that they store inside. Adding a few tablespoons of corn meal to the water will help clean the clams more thoroughly. After they soak, rinse the clams with fresh water and scrub the outside shell. Now they are ready for cooking. Heat a large pot on high heat. When hot, add garlic and cook until golden. Add butter, wine, water and clams and cover tightly, reduce to medium-low heat. Cook 5 to 10 minutes, or until the shells open. Do not overcook or the clams will become rubbery. Transfer clams with a slotted spoon to a large bowl and pour the liquid through a strainer over the clams. Top with fresh herbs and enjoy with a good crusty bread. 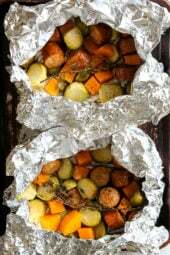 Gina – just curious if I could do this in a foil wrap instead of in a pot?